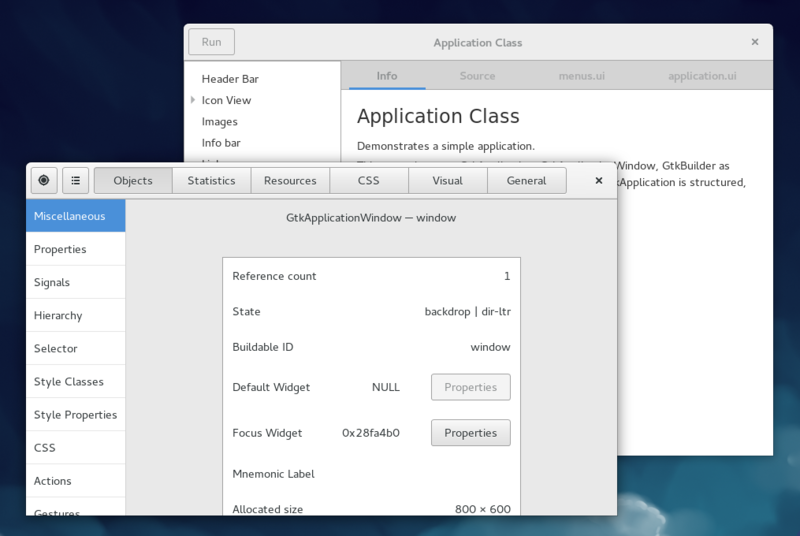 GTK+ Inspector is a debugging tool that is built directly into GTK+ and is available in every GTK+ application by using of the shortcuts Ctrl-Shift-d or Ctrl-Shift-i. 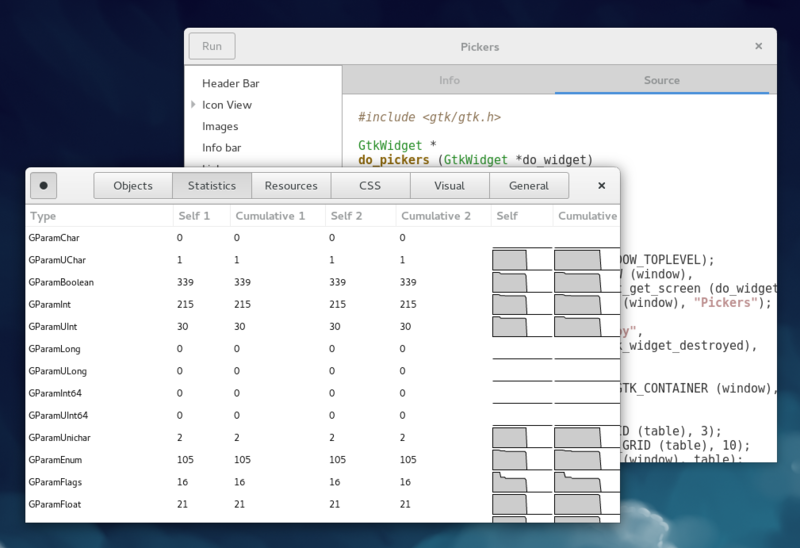 Since I last wrote about it, a number of things have changed, so it is time to give an update on the state of GtkInspector as of GTK+ 3.15.2. The object list has a new search implementation. It tries to deal better with search in a tree than the built-in search in GtkTreeView. 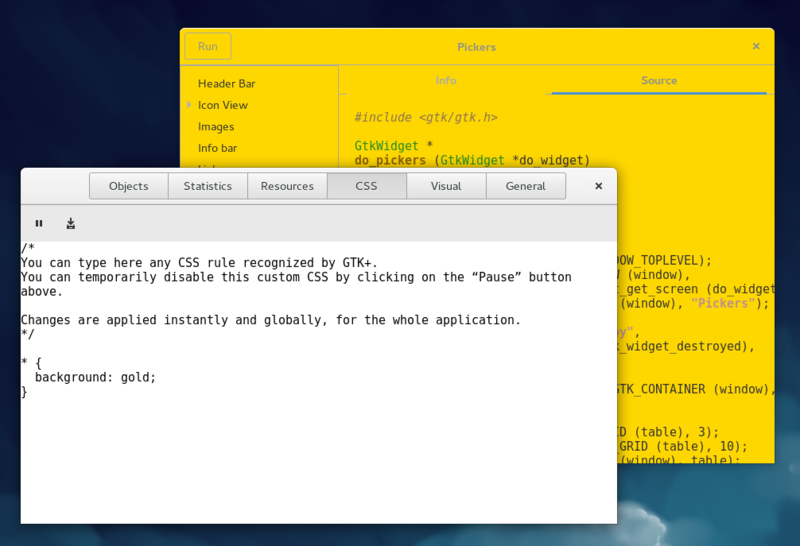 Please try it and let me know what you think. 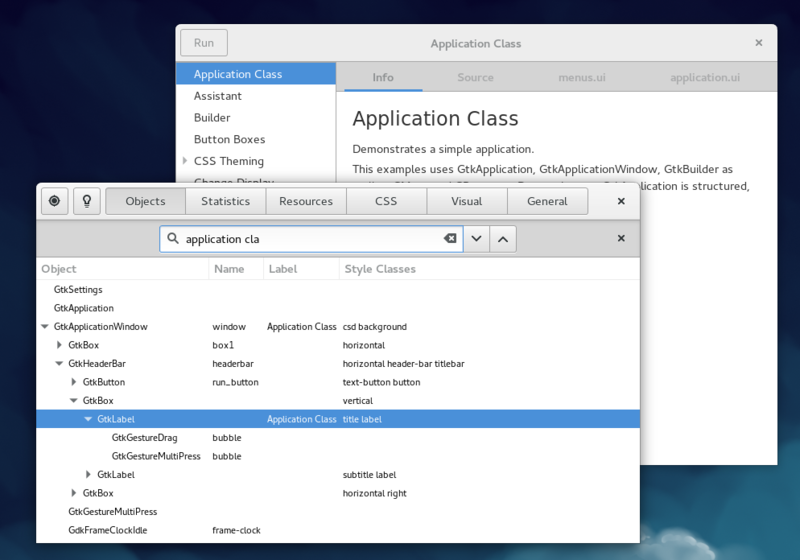 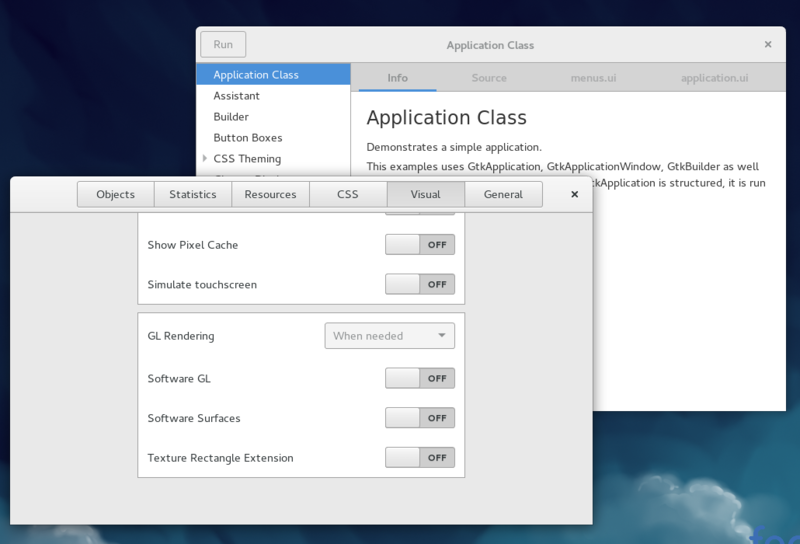 More recently, I’ve spent my coding time helping to make glade support all of the new GTK+ widgets and features. We are not quite there yet, but you can already use client-side decorations, GtkHeaderBar, GtkSearchBar, GtkStack, GtkStackSwitcher and GtkSidebar with glade from git master. I hope to add a few more new widgets to this list soon. 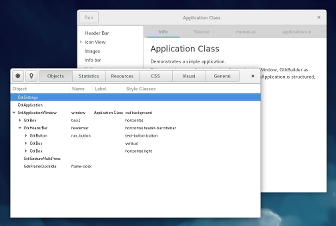 My personal goal for this effort is to use glade for all the ui files inside GTK+.